History: Work on the Meuse Canal took place between 1874 and 1882. 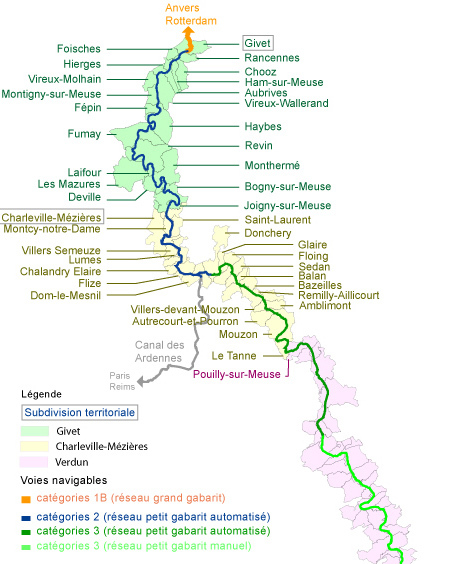 It covers 272.400 km from the Belgian border to the Marne au Rhin West canal, which it intersects at Troussey. The regulatory water flow direction is the natural flow in the direction of Belgium.